Bananas are easily available throughout the year, they are cheap and delicious. 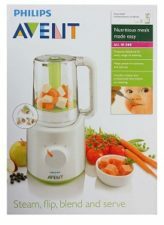 It has high nutrients and provide instant energy. I love bananas and my day never ends without eating them. 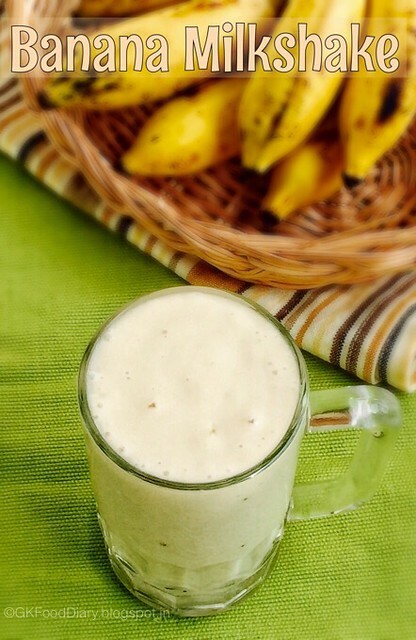 This banana milkshake is a creamy sweet treat, filling and healthy. It’s very easy to make and apt for breakfast. 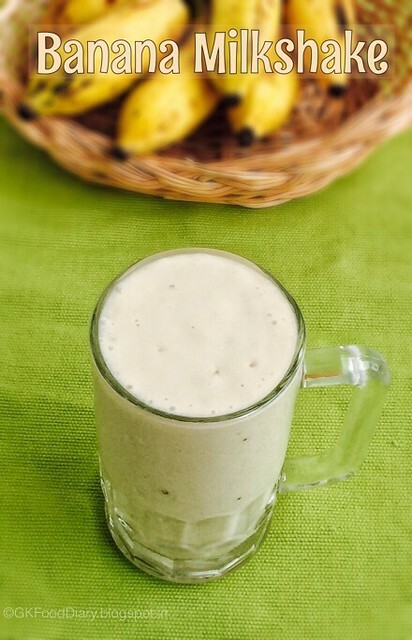 Healthy and delicious milkshake with bananas and honey. Peel and cut the bananas into circles. Place them in a blender. Add honey and milk. Blend bananas, milk and honey until smooth and creamy. Pour it in a tall glass and serve. 1. Peel and cut the bananas into circles. Place them in a blender. Add honey and milk. 2. 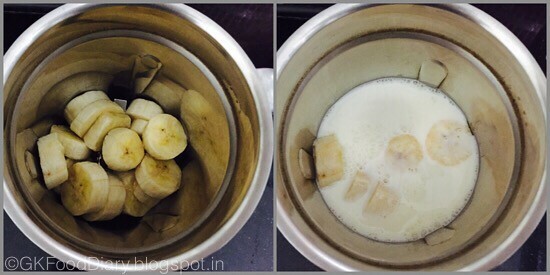 Blend bananas, milk and honey until smooth and creamy. Pour it in tall glass and serve. 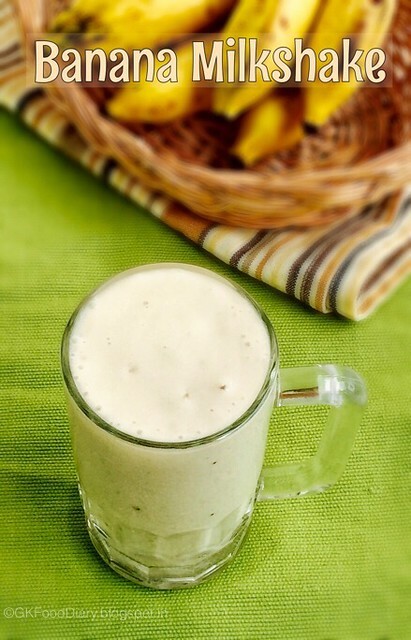 The creamy banana milkshake is ready. Serve chilled !!! Add a scoop of vanilla ice cream for a rich milkshake. 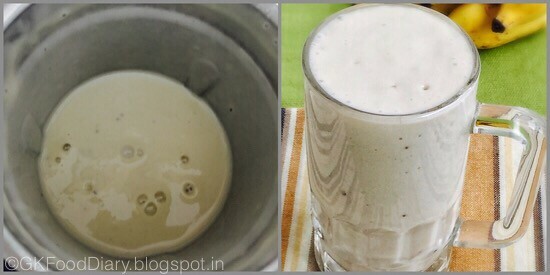 Serve the banana milkshake fresh as storing bananas in refrigerator is not recommended and it changes the milkshake to turn black.